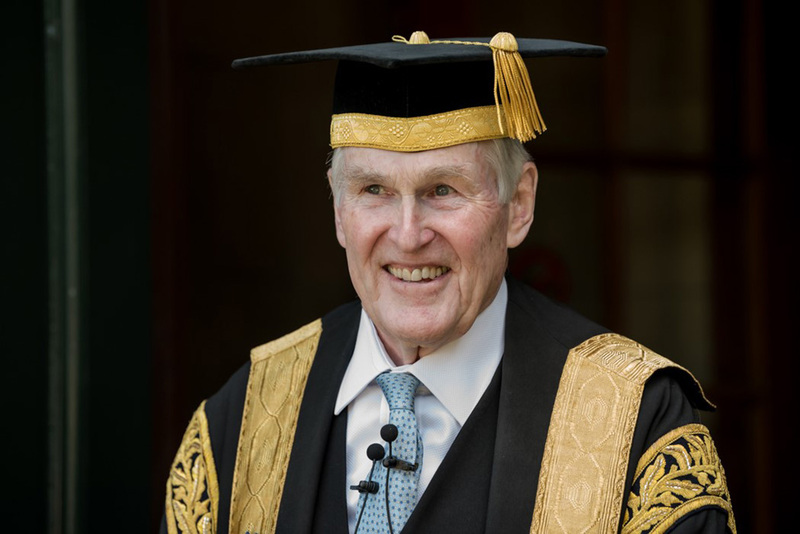 “The University of Toronto community deeply mourns the loss of our Chancellor Emeritus, the Honourable Michael Wilson,” said U of T President Meric Gertler. “A proud and accomplished Commerce alumnus and a Trinity grad, he was our tireless advocate and our global ambassador. Wilson was first elected chancellor for a three-year-term in 2012 and renewed for a second term of three years in 2015 – the maximum allowed by the University of Toronto Act. “During his six years of incredibly dedicated and energetic service as our ceremonial head, he helped launch tens of thousands of U of T graduates into the next stage of their lives – leaving each one with a warm personal word of congratulations and encouragement,” President Gertler said. Wilson was a Trinity College alumnus, graduating in 1959 with a degree in commerce and beginning a career in finance. He was elected to Parliament in the late 1970s, and served seven years as finance minister, beginning in 1984. He was named Canada’s ambassador to the U.S. in 2006. Beyond politics and Bay Street, Wilson was a profoundly dedicated advocate for mental health, becoming chair of the Mental Health Commission of Canada in 2015. His advocacy was intensified in response to tragedy when his son, Cameron, took his own life after suffering from depression. Wilson was a champion of U of T, working tirelessly to promote the university in Canada and the rest of the world. The University of Toronto flag will fly at half-mast on all three campuses until the day of Wilson's funeral. Members of the U of T community can sign a Book of Condolences in the Simcoe Hall lobby this week, starting at 1 p.m. Monday.